We’ve had very pleasant weather for far longer than is usually the case in October. There have been a few chilly clear nights but no hard frost here yet and the temperature is predicted to stay above 40 right through next week. Temperature doesn’t rule every living thing, however, and the pumpkins, green beans, tomatoes, and the bees, are all closing down as the day-length contracts and we move inexorably toward the winter solstice. We’ll see just over 8 hours of sun on December 21st vs. exactly 11 hours today. Our bees have had a rough summer. For the longest time I couldn’t figure out why there were so many corpses lying around (drones? disease?) the hive entrance, but I finally caught the culprit – we have predators! Bald-faced hornets are a North American species known for their large paper nests and for stinging aggressively in defense of their home turf. I’ve noticed them hanging around the fruit in the compost heap, but they have also been attacking the weaker of our two hives, robbing the honey stores and larvae and impeding the growth of the colony. I picked up an old monograph on beekeeping at the Jesup Library book sale a few years ago. The cover is missing, so I can’t credit the author, but it includes some basic information about combining colonies when one is disadvantaged. The author suggests that this is easier on the bees when they have a common enemy – approaching cold weather, for instance, or predators. We have both, so I decided to give it a try. The weaker colony isn’t going to make it through the Maine winter by itself in any case. I opened both hives and found that “Vanilla” (we name the hives for the color of their paint!) 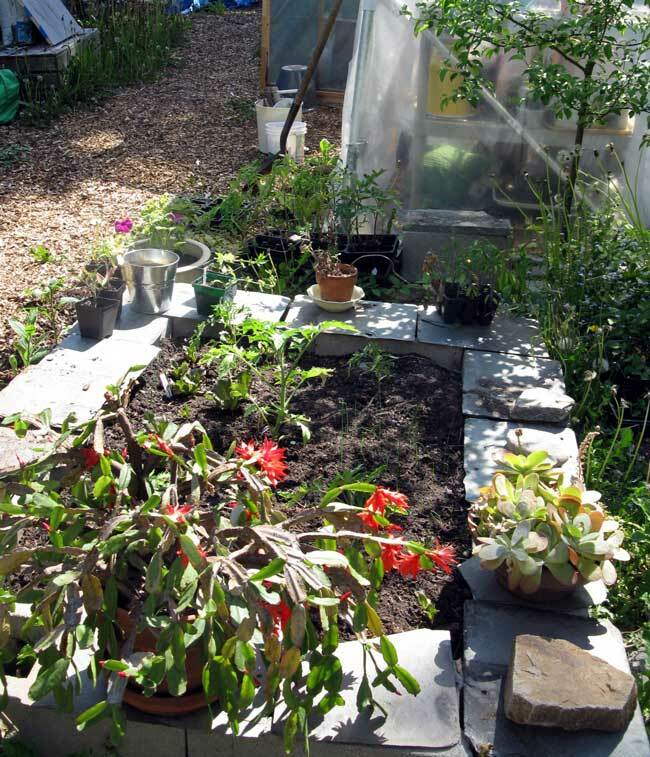 had not yet built out the outside frames with eggs or larvae. I removed those and then slid the active frames all the way to the outside wall on one side. 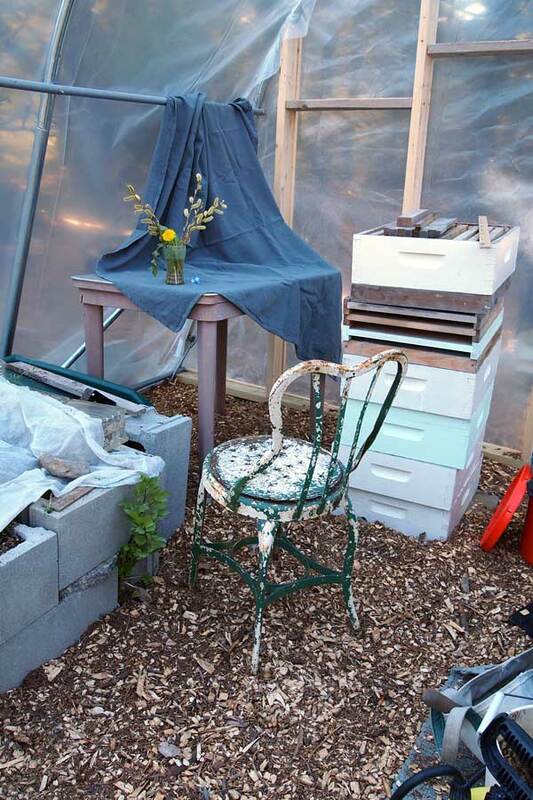 Then there was just enough space to drop in the four active frames from “Pistachio” – it was a tight fit – against the other hive-box wall, with a section of newsprint between the two, formerly separate, colonies. There were crowds of bees in the air during this maneuver, but I didn’t get stung and everything seemed to settle down rather quickly. I put on some sugar cake and buttoned everything back up with a Styrofoam box feeder on top (for a February syrup feeding). I left the Pistachio hive open, but empty of frames, figuring that workers might still be returning to that box. I may have sacrificed the field bees with this move, because the guard bees from Vanilla won’t be inclined to let them in. Later in the day I found a moderate amount of activity but no fighting or new corpses. I imagine there will be some evidence tomorrow as the hive cleans itself out. I reduced the main entrance to provide more security and closed the top entrance loosely with grass that the bees can push away if need be. There were guard bees behind the reducer and they repelled a wasp while I watched, so that’s a good sign! 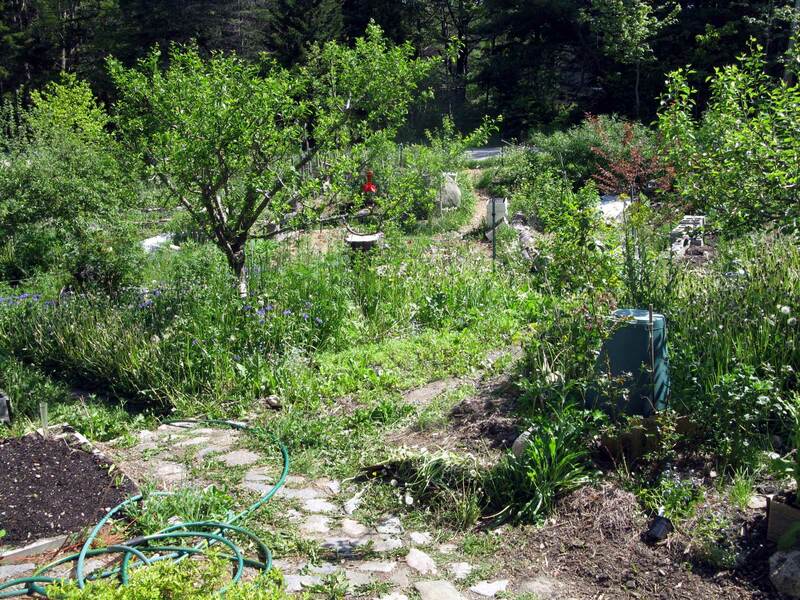 So now we wait and see – pretty much the gardening motto around here. 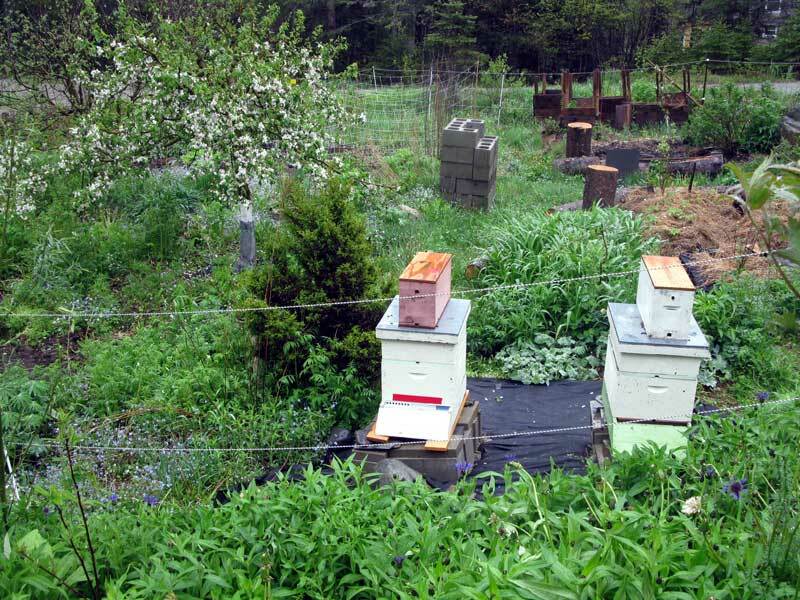 I will no doubt be driving up to Skowhegan to Abnaki Apiaries next spring to pick up a new nuc hive, and return the boxes from this spring. Onward! 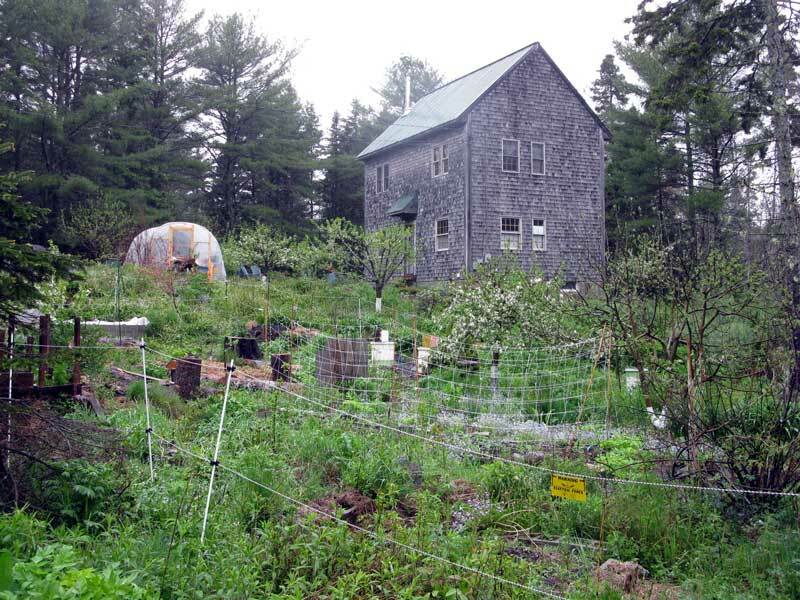 This entry was posted in bees, gardening, Maine, the backyard and tagged autumn, beekeeping, bees on October 15, 2013 by APo. Our Boy is home for two weeks before school starts up again. It’s wonderful to have him here for all kinds of reasons, but the most important is how good he is at documenting the crazy stuff we get up to. Here we are opening the hives on a sunny Sunday afternoon; I’m opening the hive and R. is on smoker duty so we both have our hands full, and yet we still have photos! 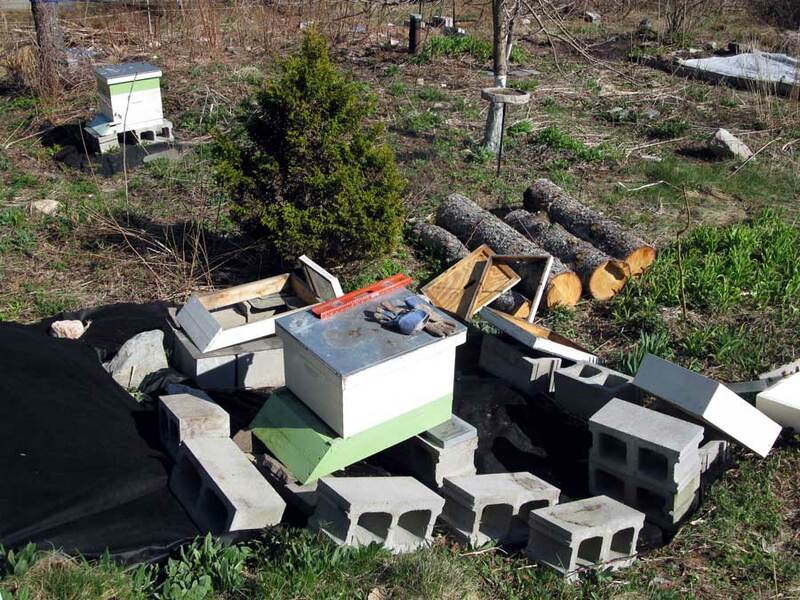 These hives started as nucs from Abnaki Aviary in Skowhegan this spring. We brought them home at the beginning a full month of heavy rain so they got off to a slow start. Both hives have now filled out the bottom super but the top box is still untouched. You can see the start of comb beginning to expand upward. 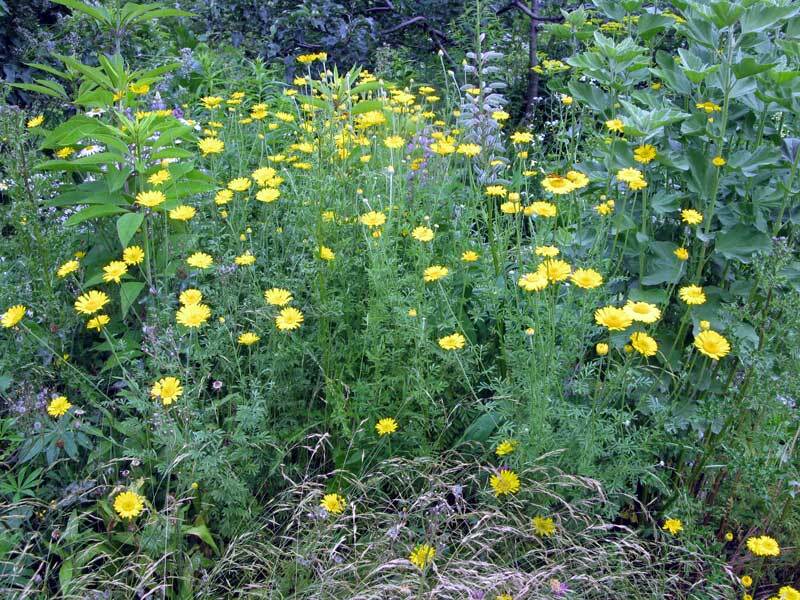 I’ve been loading them up with food in the form of dry sugar cake and commercial pollen patties. 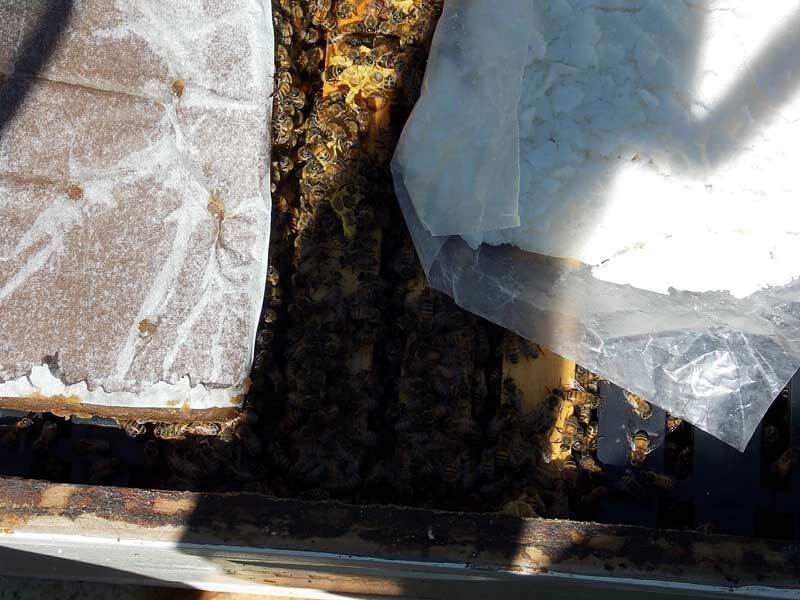 Both hives ate everything and one of them actually pushed out all the leftover waxed paper. 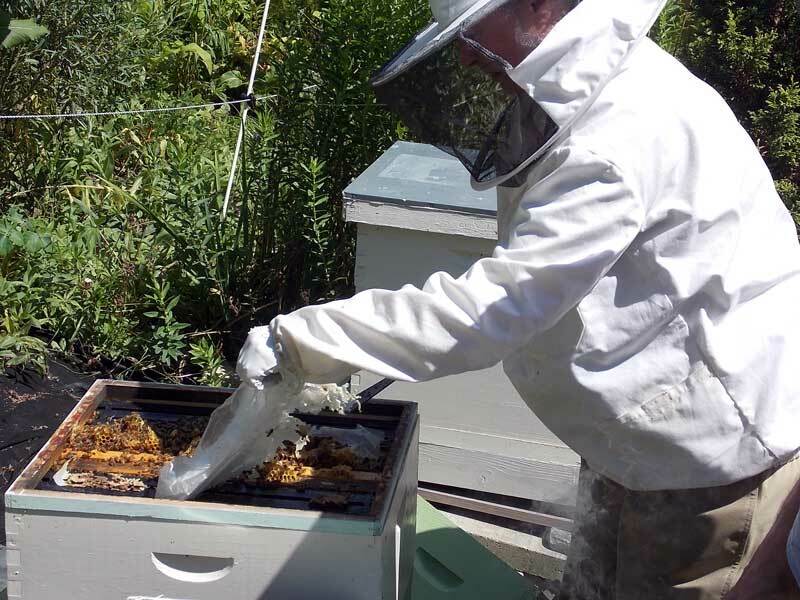 Here I’m picking out some thoroughly cleaned refuse from the other hive. More food! 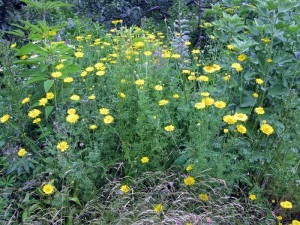 August is traditionally a thin month for bees in Maine. Summer 2013 has been very wet and the goldenrod is coming along beautifully, but my new philosophy is to feed the colony no matter what the plants are doing. Pollen patty on the left, sugar cake on the right, bees in the middle. 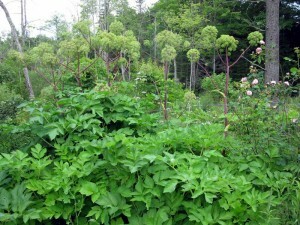 Next check up will be in late September when goldenrod and aster season closes out and the days are short. I hope to find the upper boxes filled out, the comb packed with honey and beebread for winter. This entry was posted in bees, gardening, the backyard and tagged beekeeping, bees, summer on August 16, 2013 by APo. May has turned to June and the garden is taking over. We’re currently under 16 hours, 35 minutes of daylight, folks, and the plants are loving it. Of course, on the twenty-first we’ll start counting backwards toward December. Nobody tell the beans, OK? and one day of rain. The bees love their centura highway. 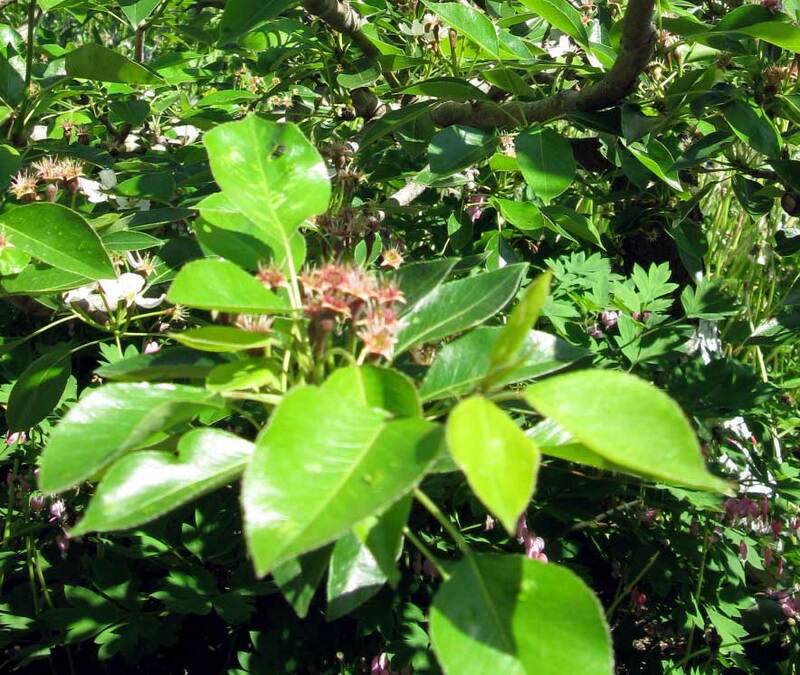 The bees have been busy in the Seckle pear where every blossom has started a tiny brown fruit. I’ll probably have to thin these this year. Flats of seedlings still waiting for the gardener, and a new slate-topped bed where the old peach tree used to stand. (Moment of silence for those ghost bushels of peaches. 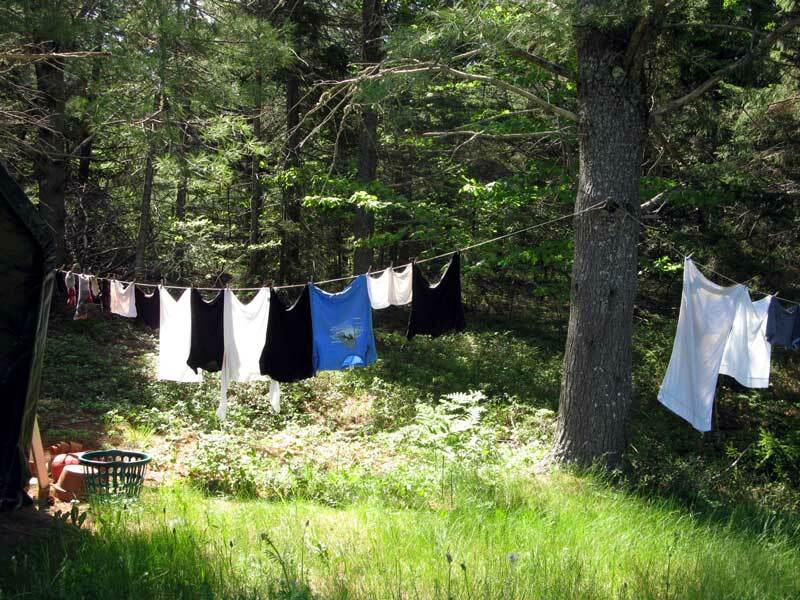 . .) First outside laundry day of 2013! Please don’t tell my mother that I wash and hang darks and lights together. She did individual loads of wash by person and then divvied it up further by dark/light and general amount of soiling. Now that I think about it, that probably made sense given my brother’s clothes would be covered with hay chaff and machine oil – still too much decision-making for me. 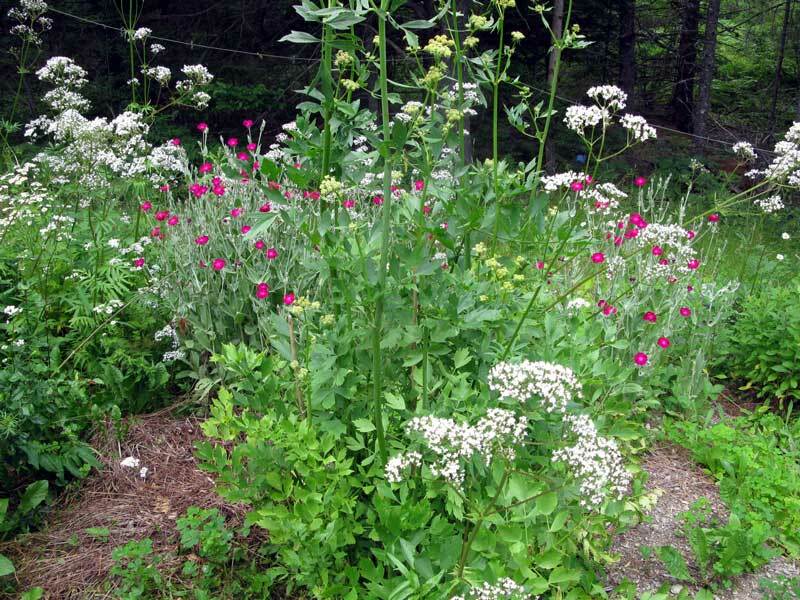 This entry was posted in gardening, horticulture and tagged Bar Harbor, bees, garden, spring on June 5, 2013 by APo. Meet Mr. White and Mr. Pink. These are nucleus hives, called “nucs“, and they are crowded with four frames each of bees, drones, and their queen. We brought the nucs home from Skowhegan on Wednesday night but the transfer has to be done on a sunny afternoon while the bees are flying and this is our first good day since then. Fortunately, I work for an organization willing to let me off on a weekday afternoon for a bee emergency. 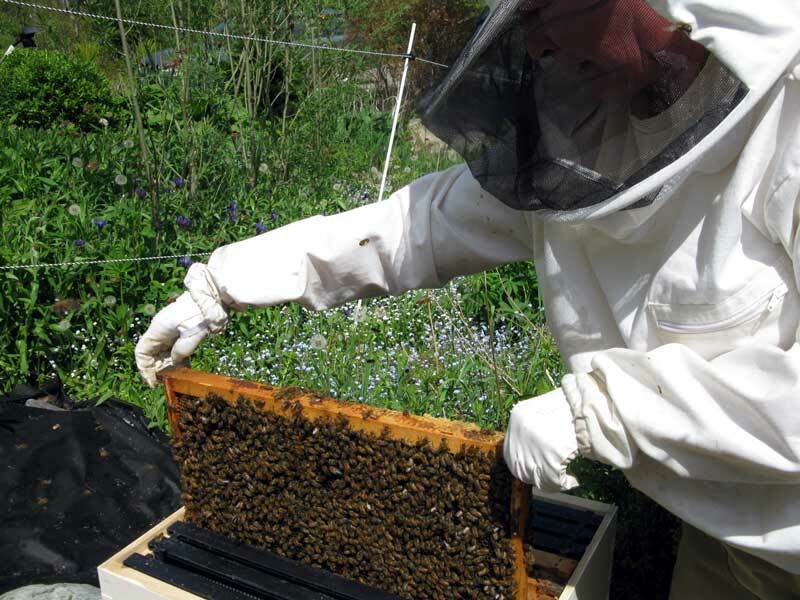 I always wear full suit when I’m going to be deep in the hives, but I prefer to work bare-handed. I was stung on the pinkie in the first 30 seconds, so went and got my church gloves on. The frames were full and made the transfer nicely. 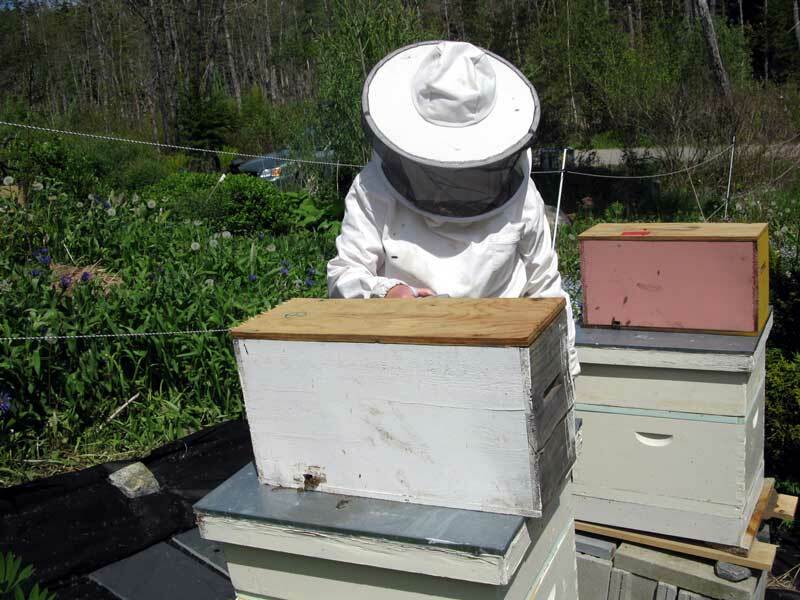 One nuc had a few supercedure cells, which I knocked off with my hive tool. Now I just hope they settle in and we can avoid a swarm. These photos don’t really show the cloud of bees in the air – which is something you really notice while you’re working with them. The sound of thousands of bees, the smell of wax and honey, the warmth they give off in the hive, the simple energy and industry of the hive; none of it translates well to media. On the bright side – neither does getting stung. 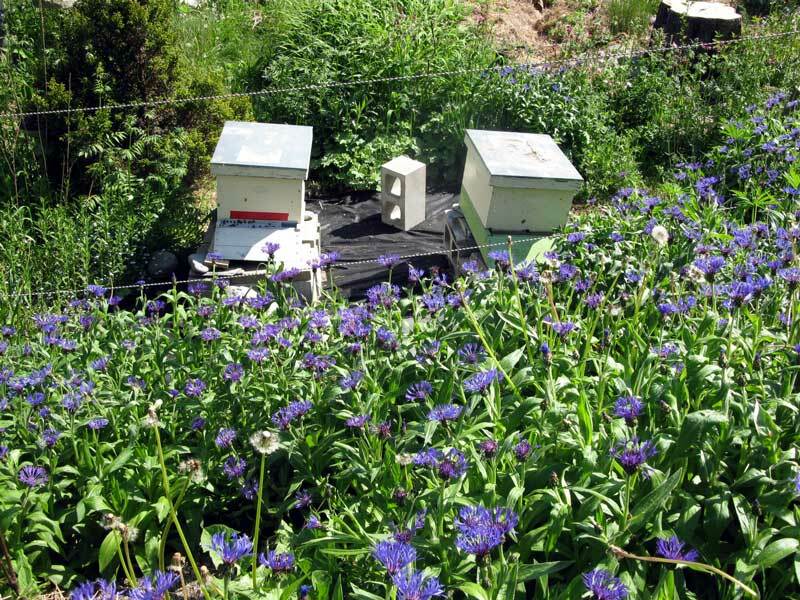 This entry was posted in bees, the backyard and tagged Bar Harbor, beekeeping, bees on May 28, 2013 by APo. 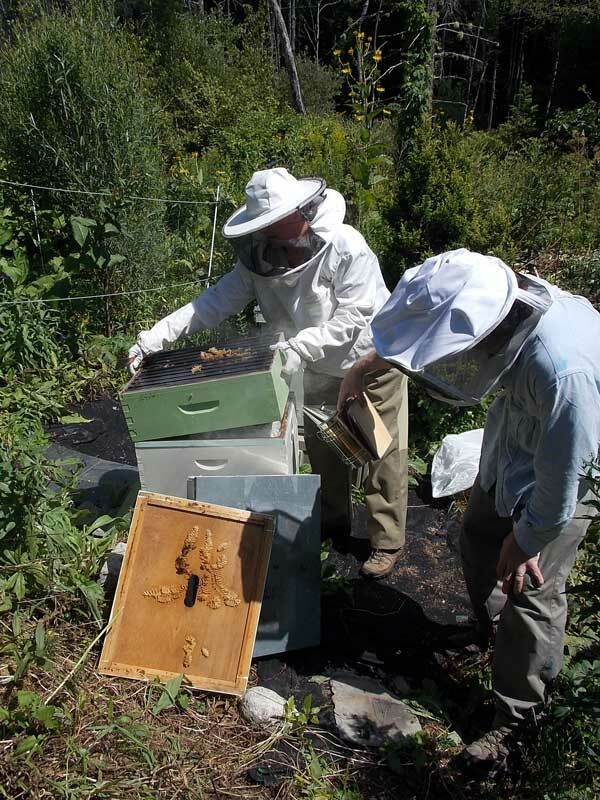 We drove up to Abnaki Apiaries on Wednesday night to pick up two “nucs” (nucleus hives) of Bob Egan’s Maine bees. The weather nicely cooperated by not pouring rain so hard that we couldn’t see, and the non-highway part of the trip was very scenic. We arrived at 8 pm and it was still light enough to chat with the Egans and admire the piles of varied color nuc boxes under the huge old maple trees and lilacs in the front yard. Then we loaded Mr. Pink and Mr. White (with apologies to Quentin Tarantino) into the back of the Honda and headed home with @ 16,000 bees. That picture was taken the morning after we brought them home. I popped the screens off and they’ve been free to fly around the garden (during breaks in the torrential rain) since Wednesday. The next step is to transfer the four frames full of bees from the nucs to the full hive boxes, but that may have to wait till we have sun on Tuesday – when I have to be back at work. Good thing R is now interested in beekeeping AND self-employed. 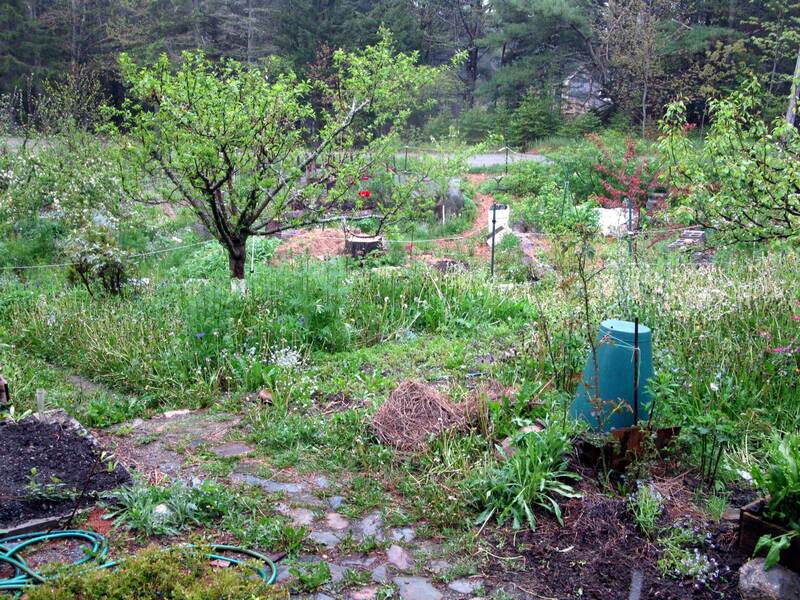 This entry was posted in bees, gardening, horticulture, the backyard and tagged Bar Harbor, beekeeping, bees, garden, spring, weather on May 26, 2013 by APo. The new cover on the hoop house is transparent, rather than white, and my still life paintings are quite different under the new light. Today I put the new hive boxes together on cement block stands. 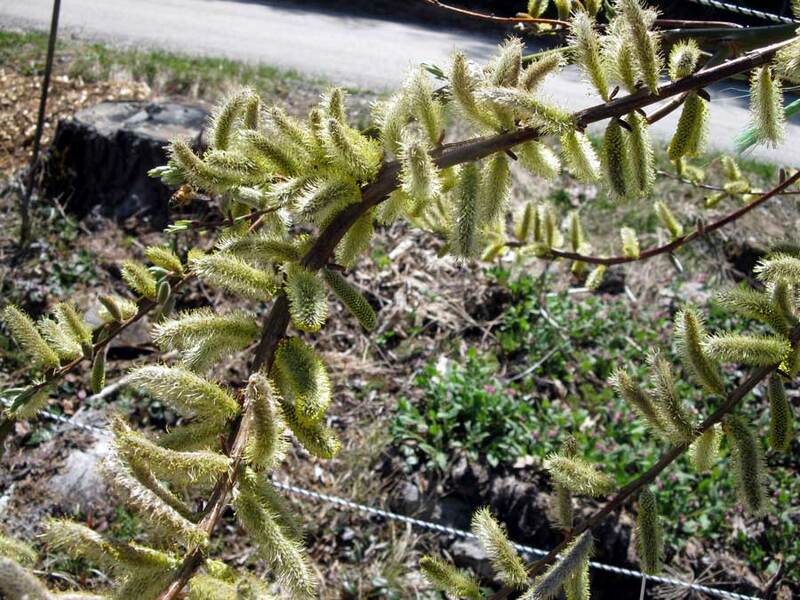 The fan willows are in full bloom, and full of bees! 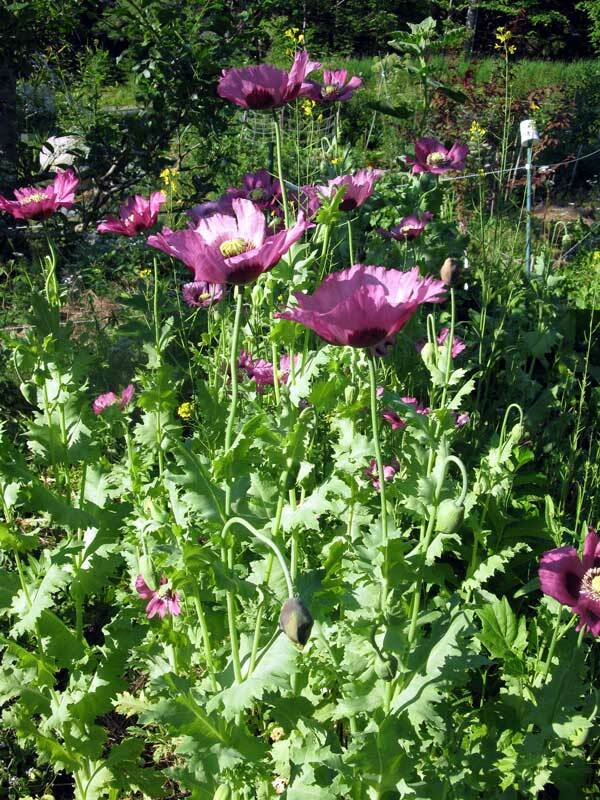 This entry was posted in bees, gardening, horticulture, the backyard and tagged beekeeping, bees, garden, spring, still life on April 28, 2013 by APo. Outside the coyotes that live on Frenchman’s Hill are hollering at the full moon. They’re so loud I can hear them down cellar where I’m painting hive bodies under shop lights. We’re all waiting for spring. 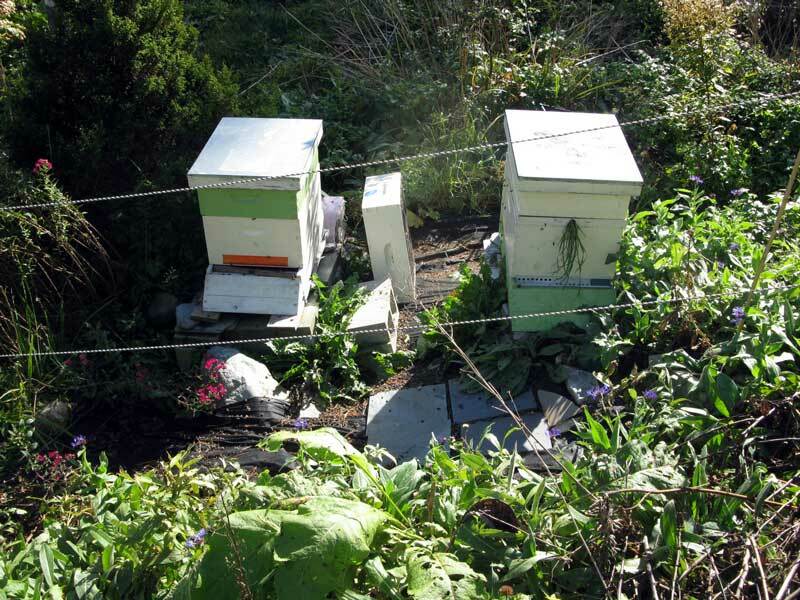 . .
I’m making some changes to my beekeeping practices in 2013. 1. 10 frames in 10 frame boxes. I used 9 frames for years – the idea is to make the boxes lighter and easier to heft. “Nine-frame” adherents insist that the bees don’t mind the variation in the bee space; the precise distance between structures that bees require for their comfort zone. This year my partner is interested in helping out so I won’t be lifting 120 wooden boxes full of bees and honey by myself, and my experience suggests that the bees DO mind the extra space, perhaps especially in our Northern climate. 2. Full-sized, or “deep” supers. 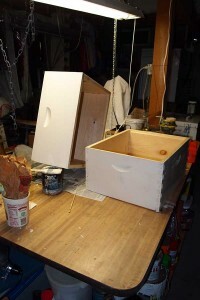 Hive boxes come in three sizes: small ones specifically for the honey harvest and meant to be rotated out quickly during the nectar flows in spring and fall, medium boxes for longer term honey cropping and extra living space, and “deeps”, the largest size, meant to be the colony’s living space. I’ve been using only small and medium – again for ease of moving them around. Deeps can weigh >150 lbs fully loaded with bees, larvae, and food stores. 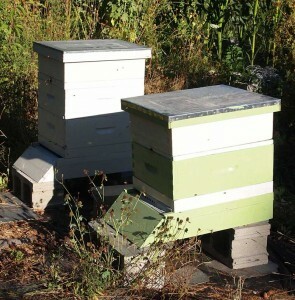 Unfortunately, nuc boxes contain large frames, and transferring a “deep” size frame into a medium hive body requires stacking boxes to accommodate extra length. It’s not an elegant solution. This year I know in advance that I’m getting 2 nucs from Abnaki Apiaries in Skowhegan and have planned accordingly – 2 large supers painted “vanilla” and ready to go! 2. Stencils. You’ll notice that both the supers in the photo are the same color of exterior latex paint. I generally throw a few strips of duct tape on one of the hives to differentiate it to the bee population, but this year I’m going to be more purposeful and plan a decoration, perhaps a stencil? Or this. Wow, there’s a lot of choices out there – now I feel very inadequate about all those years of duct tape! 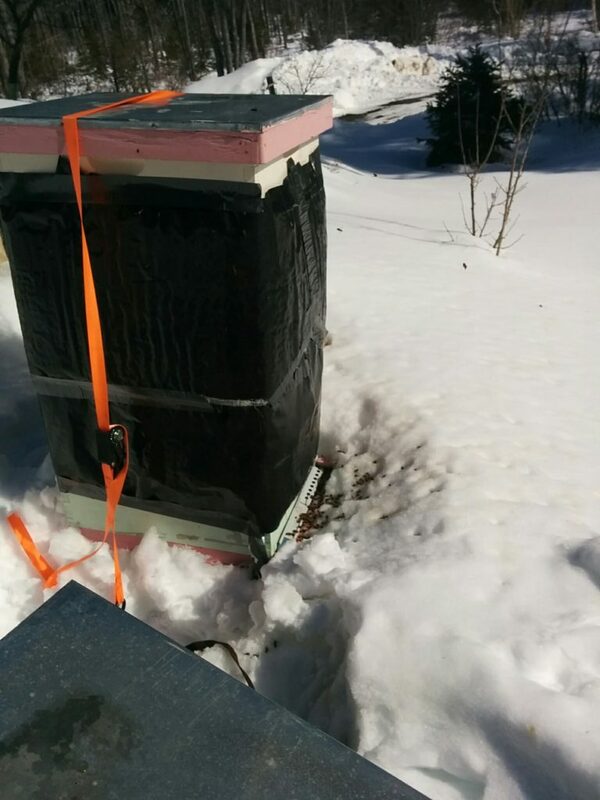 This entry was posted in bees, science!, the backyard and tagged beekeeping, bees, construction, winter on February 26, 2013 by APo. The blog was off line for a few days while we worked to update the database. Sorry about that! To celebrate our return (and hard-won triumph over WP2011) here’s a post about bees. It’s also a convenient way to get back to everyone who has commented and emailed lately about suggestions for hives to survive the Maine winter in good shape. Hive wrap is great stuff, but I can’t give you much real data to back that up. It’s possible that any black covering would suffice to keep in as much heat as possible. Many Maine beekeepers still swear by tar paper but I find it tough to work with and I hate driving nails into my hivewear. 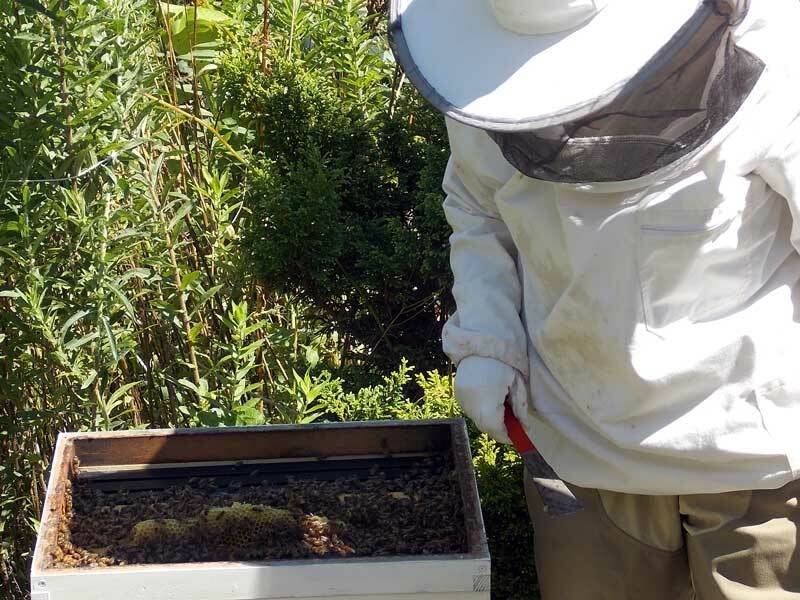 Commercial hive wrap has a layer of insulation on the inner side and is dotted with tiny holes to keep moisture from building up against the wood. It’s easy to handle, fastens securely with a little duct tape, and will last 5 seasons or more if you don’t let the mice get to where you store it in the summer. I do know someone who slaps a coat of black latex paint on his hives once the bees are fairly dormant and paints them over white again in the spring. That seems like a lot of work to me. Increasing the hives ability to absorb and (possibly) store heat is the big idea – let me know if you have something that works for you? There’s a nice steady stream of bee traffic into the upper entrance of the second hive in this photo! Ventilation is important, particularly at the very end of fall and late spring, when daytime temps spike and then drop precipitously at night. They say that dampness caused by condensation in the hive is deadlier than frigid temperatures. I use a screened bottom board (all year round) and a top entrance shim to allow air movement. The hives are also tilted forward just a little bit so moisture that collects on the inner cover runs forward and down the front hive wall instead of dripping on the colony. 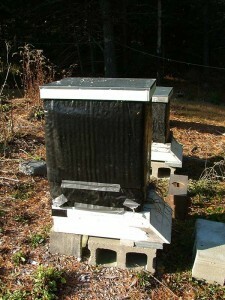 Note the metal entrance reducer on the front hive in the photo to discourage mice from invading a weaker colony. I didn’t chose this article on purpose, really. 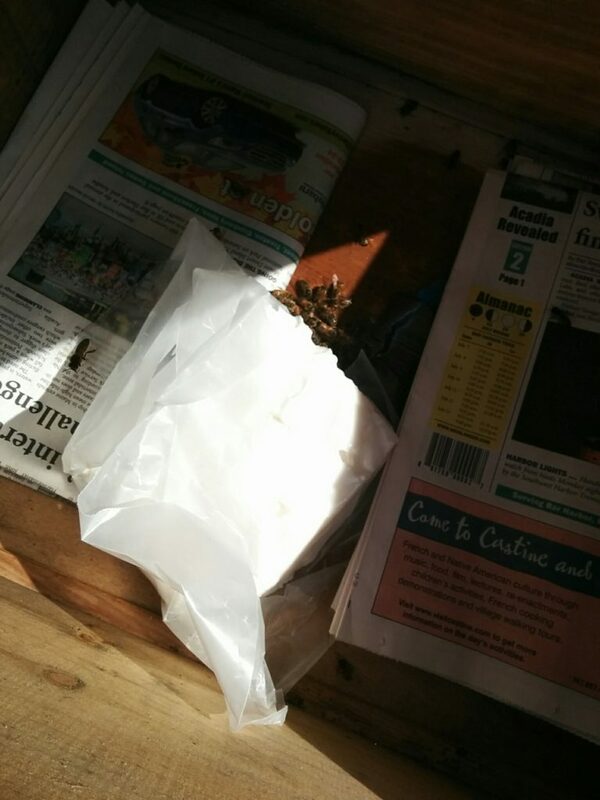 I wrap the hives, then remove the Beemax feeder (I leave this on all year as well) and add a layer of newsprint in the space formed by the top shim. Don’t extend it all the way to the edges, so that the bees can easily move around it when you’re feeding liquid sugar. It absorbs moisture and provides a little draft-proofing. I find it is generally wet through when I take it off in the spring. 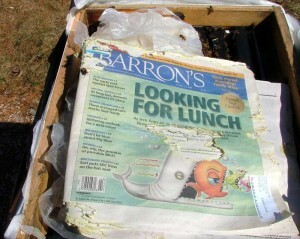 The bees will chew on it but it doesn’t hurt them – newspapers use soy inks these days. 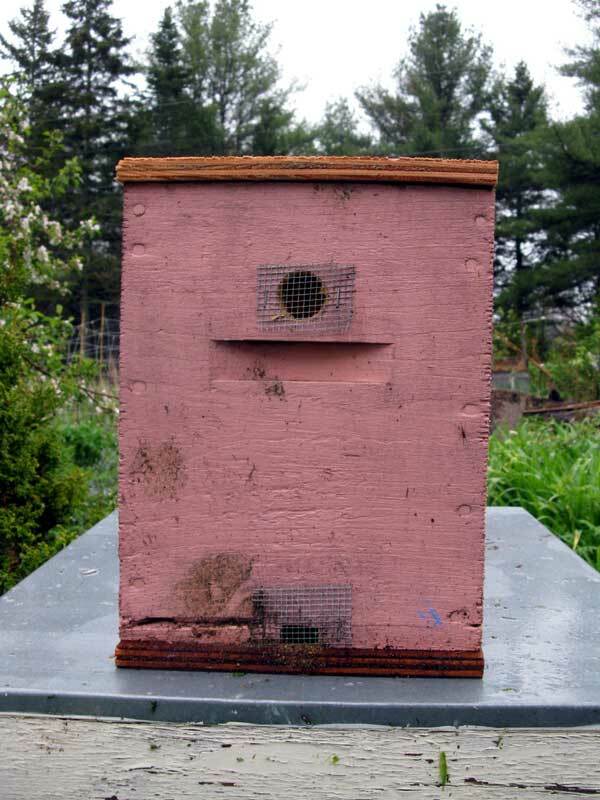 Put the feeder back on and lap the hive wrap over the edge, put the inner cover and telescoping outer cover on top, weight the whole thing down with a cinder block on top, and your done! Until it’s time to feed the colony on that warm day in early March. . . 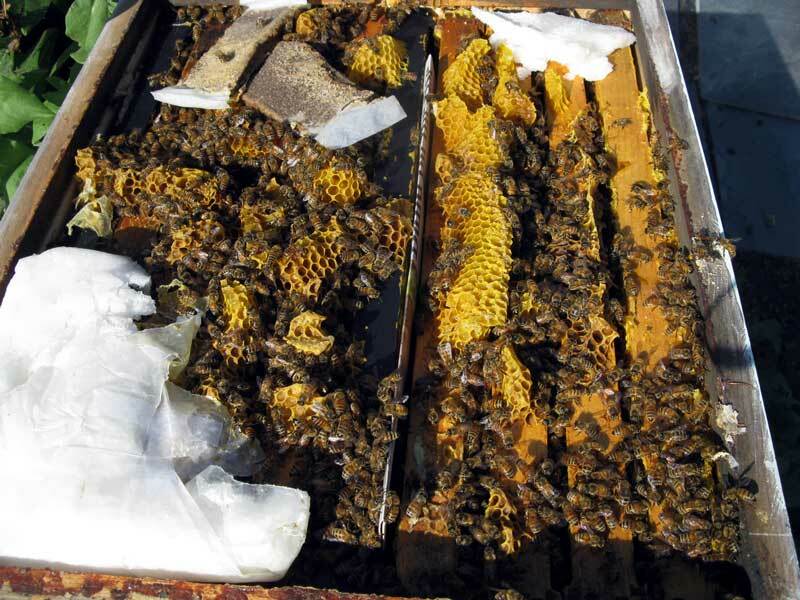 This entry was posted in bees and tagged beekeeping, bees, winter on September 20, 2012 by APo. I went away for a week and evidently the garden enjoys a bit of “alone time”. Almost everything in this picture is edible (except the giant spruce tree). 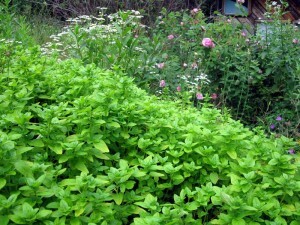 The oregano hedge (like everything) has enjoyed the alternating rain and sun and nearly doubled in size in seven days. 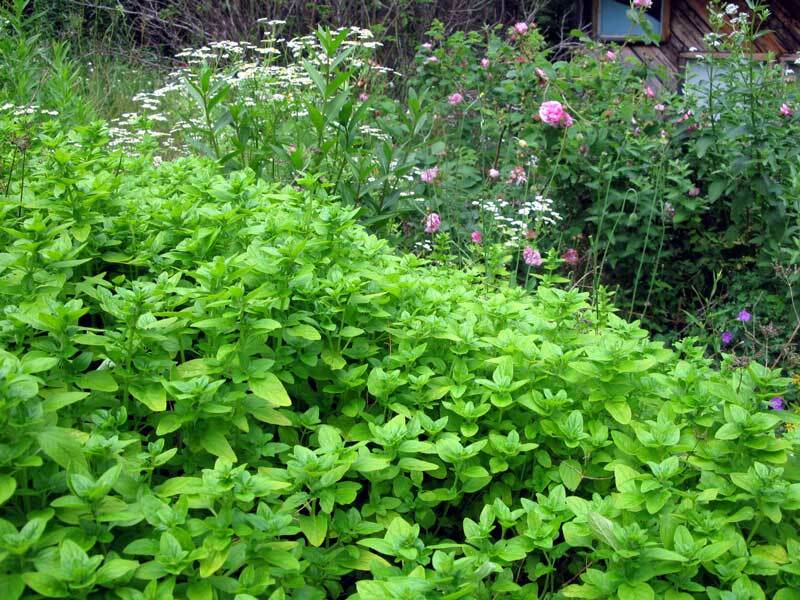 Celery (which I use only for delicious celery seed because I never get around to blanching it), rose campion, and valerian; tall plants growing rampant at the back of the garden. Briarseed bread poppies, each blossom opening and falling apart in a day but leaving plenty of seeds behind. 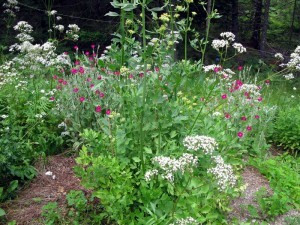 Golden marguerite, mallow, Joe Pye weed, in a garden row for the bees. And finally, at the edge of the garden, a wall of angelica. 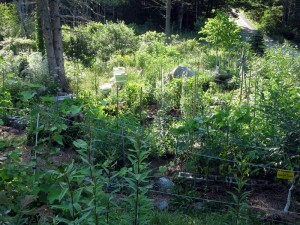 This entry was posted in gardening, horticulture, Maine, the backyard, vegetable garden and tagged Bar Harbor, bees, garden, summer on July 2, 2012 by APo.